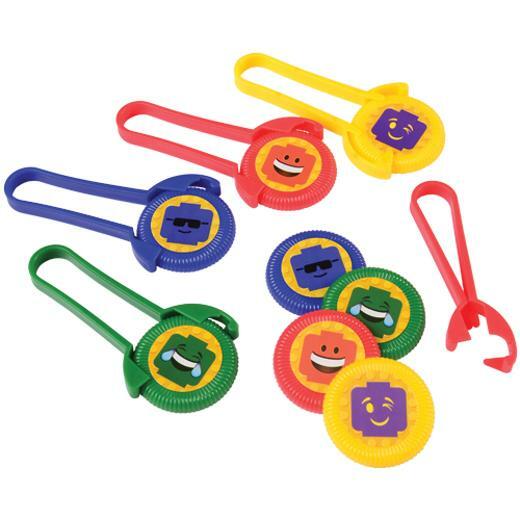 Cheap Block Mania Disc Shooters - 12 Ct.
Give away the best party favors at your child's next themed party with these Block Mania disc shooters! Modeled after his favorite brick-building toys, these discs feature fun block people with emoji-style facial expressions. And they are easy to use! Simply load the shooter and give it a squeeze. Kids will watch in wonder as their disks fly across the backyard. A great toy both kids & adults will enjoy! L: 7.05 in. W: 1.55 in. H: 7.8 in.